GAIL ( India ) Limited , New Delhi is given a latest recruitment advertisement in the official website www.gailonline.com for recruit Senior Engineer ( Chemical ) posts . There are 30 Vacancies . 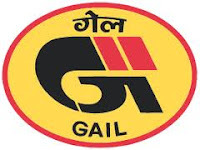 Job wanted candidates in GAIL ( India ) Limited Company are apply Online mode application form through the above given website on or before closing date . Engineering Diploma and upper age limit 30 years candidates are eligible to apply for this Sr. Engineer ( Chemical ) Post . Selection by the Group Discussion and Interview by the Selection committee. Here we arrange some important details age , qualification , how to apply , others given below . Educational Qualification : Bachelor Degree in Engineering in Chemical / Petrochemical / Chemical Technology with 65 % of marks . Age Relaxation : Age relaxable for SC/ST - 05 years , OBC - 3 years , 10 years for PWD - SC/ST candiates . Reservation wise vacancy : Unreserved - 18 posts , Scheduled Cast -03 , Scheduled Tribes -01 , OBC -08 posts are distributed . Total 30 vacancies . Selection : Selection Committee will select the candidates for the post of Senior Engineer ( Chemical ) in GAIL by the Group Discussion and Interview method . How to apply : Candidate apply online Engineer post by visit the GAIL wesbite www.gailonline.com . Open the Notification and read it carefully . Follow the step by step given for Apply Online process . Take a print out after submit the online application form . Send the application to the following address . Click the given links for Downloads Notification , application form .